It’s hard to get a quality scanner with a restrictive budget, but the Innova 3100j is a welcome exception to this rule. The scanner has premium features found in much pricier scanners. 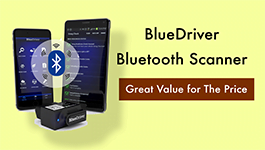 So, you will still enjoy high-quality scanning and code reading with this device despite its affordability. 2.1 What makes Innova 3100J Special? 4 Who is the Innova 3100J Meant For? Among the highlights of the INNOVA 3100J is that it can work with most vehicles. Additionally, the OBD2 scanner will also help you read and erase engine issues in all compatible vehicles. 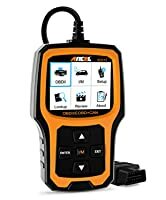 Moreover, if you need a quick fix to check engine light problems, then this code reader slash scan tool is worth a try. It offers ABS and SRS scanning for OBD2 vehicles as well. In general, this scanner works with cars, light trucks, SUVs, and hybrids made in 1996 or later. Many domestic and foreign car models will also work with this scanner. Here are some other things you need to know about the Innova 3100J as you consider placing your order. What makes Innova 3100J Special? OBD2 is the only protocol supported by this scanner and reader. Luckily most vehicles in the world today feature this protocol. As far as functionality goes, the Innova 3100J offers users a lot of benefits. To begin with, the scanner will reveal the reason for the Check Engine Light warning on all compatible vehicles. Moreover, users can diagnose and fix ABS and SRS Airbag light issues on most OBD2 vehicles when using this scanner. 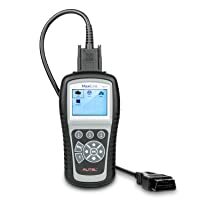 The 3100J is also useful for Battery and Alternator tests in case you need to see how your vehicle’s charging system is doing. Especially, you can also check on the general status of your engine including fuel trim, and the engine coolant temperature among other problems. Furthermore, you can know the state of these vehicle metrics at the time the warning signal was set off. The scanner can also store the last three vehicles scanned. However, to clear a stored vehicle, you would have to scan another one to replace the older records. Also, with the oil and battery reset feature functionality, drivers will be given a step-by-step process on how to do this on OBD2 vehicles from 1996 and later. The scanner’s interface is very efficient and user-friendly. You can easily view live data, and have graphical views of the data it reads from the vehicle’s computer. This device is very compact in size, and that makes it easy to carry around. Usage is also much easier due to its small size as this makes it much easier to wield during operation. Its weight of just 1 pound also makes it easy to carry around. This device is very compact in size, and that makes it easy to carry around. Some users have had issues with this scanner when using it with some computer systems. In particular, Windows Vista does not work very well with the scanner without a software update. Many users are happy with the functionality of this device. Nevertheless, they bemoan the fact that a manual is not available with the purchase. This little document could enhance 3100J usage experience and ensure users get more out of what it has to offer. The scanner also lacks live data display functionality. Fortunately, it keeps a record of engine data at the time the vehicle’s error code was generated. Besides, the screen is a little difficult to see in bright outdoors settings unless you can turn off the back-light feature. The 3100J has a simple and yet professional interface, making it good for both beginners and novices. The only challenge would be in learning what the buttons do, given that clear instructions are not available with the purchase. The 3100J has a simple and yet professional interface, making it good for both beginners and novices. Slow tech support. Possible update service issues. 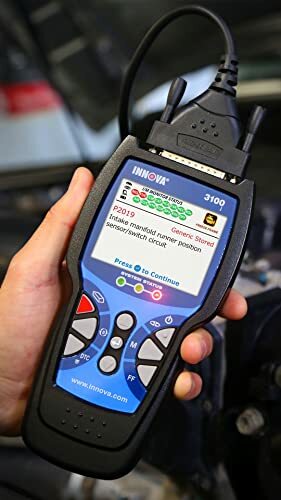 Bottom Line The average car owners and DIYers will love Innova 3100j scan tool because the price can’t be beat for the features it offers. ANCEL AD410 is built for any car owners. Autel ML619 is built for average car owners and DIYers. Who is the Innova 3100J Meant For? Disregarding the documentation issue for a while, this is still a very easy-to-use OBD2 scanner. 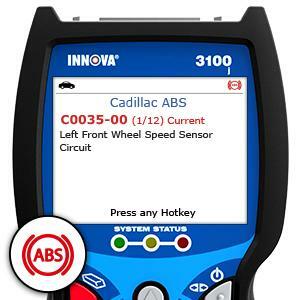 General car users can use Innova 3100J to get error codes when the check engine light goes on. Consequently, drivers can avoid calling the mechanic over small engine issues. The diagnostic power of this scanner also makes it suitable for mechanics because, in addition to supporting many car models made in 1996 and later, the scanner can provide manufacturer-specific error codes. 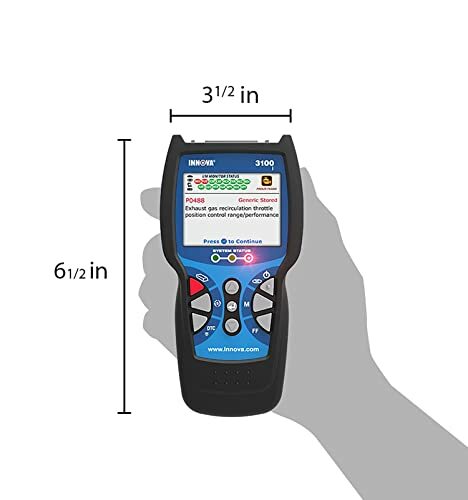 Similarly, anyone else in between (novices, car enthusiasts and DIY’ers) should find this scanner appropriate for their needs. The Innova 3100J may be a budget scanner, but the friendly price is not all it has going for it. The gadget has a compelling list of features, the highlight of which is its powerful premium performance. The capabilities of this device are typically available in much pricier scanners. Still, the Innova 3100J has a few shortcomings, such as lack of live engine data. But that is to be expected of a scanner within this price range; and definitely not a deal breaker. However, one undeniable truth about the INNOVA 3100J OBD2 scanner is that it is worth every penny of its price. In short, you will not regret your purchase if this is the best scanner you can afford.